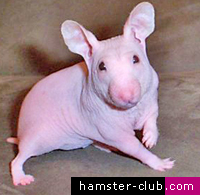 The Hairless Hamster is not available in all countries and is not a mutation that will appeal to all. In some countries it is labelled as the "Alien Hamster". 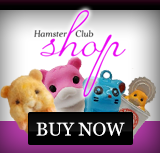 Hairless Hamsters need to be bred extremely carefully as it is necessary to produce haired hamsters that carry the hairless gene in order to breed, as female Hairless Hamsters are often unable to produce milk for their young. 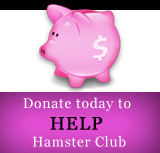 Wide and irresponsible distribution of these haired hamsters could cause an "outbreak" of Hairless Hamsters to appear in the future.